Tiny living can be a bit of a challenge for families, but it's well worth doing if you think can manage it. To make the experience as easy and enjoyable as possible, you should consider building a ranch home! This style might not have as much curb appeal as some others, but it's one of the most functional if more than two people will be living in the home. 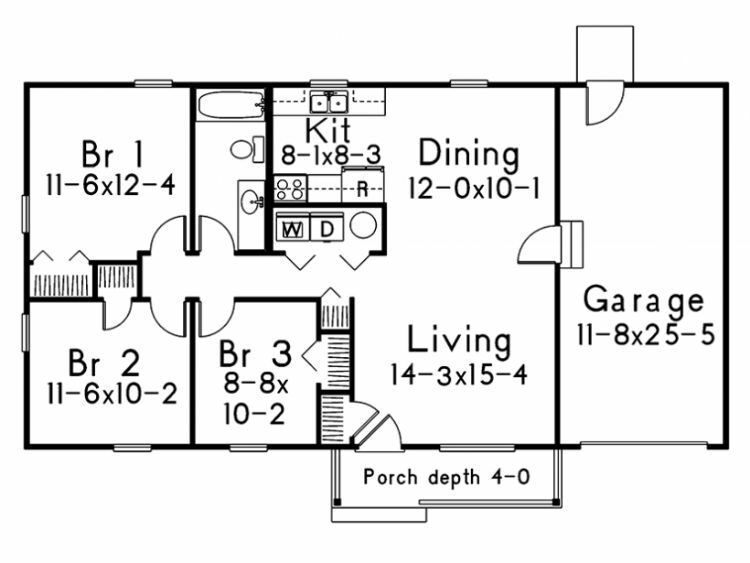 All of the homes below have at least two bedrooms, so they have plenty of room for the entire family! 1. Three-bedroom home with carport from Architectural Designs. At a relatively spacious 998 square feet (93 square meters), this home from Architectural Designs has three bedrooms and a one-car carport. A storage space can be found at the back of the carport; this is where the laundry machines are found. Inside the home, the living room is the first thing you see when you step through the front door. The dining room is right behind it, and it's separated from the kitchen by an eating bar. 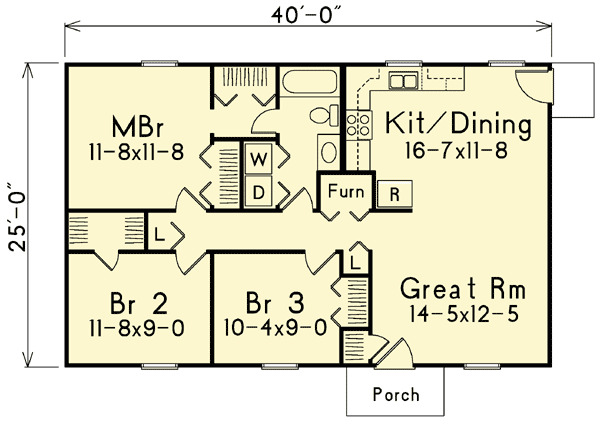 Three bedrooms and a bathroom with a tub can be found on the left side of the home. 2. 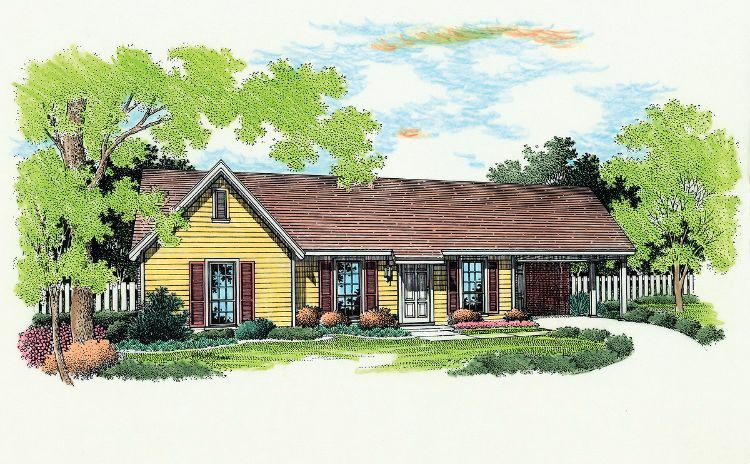 Quaint design with screened porch from Family Home Plans. 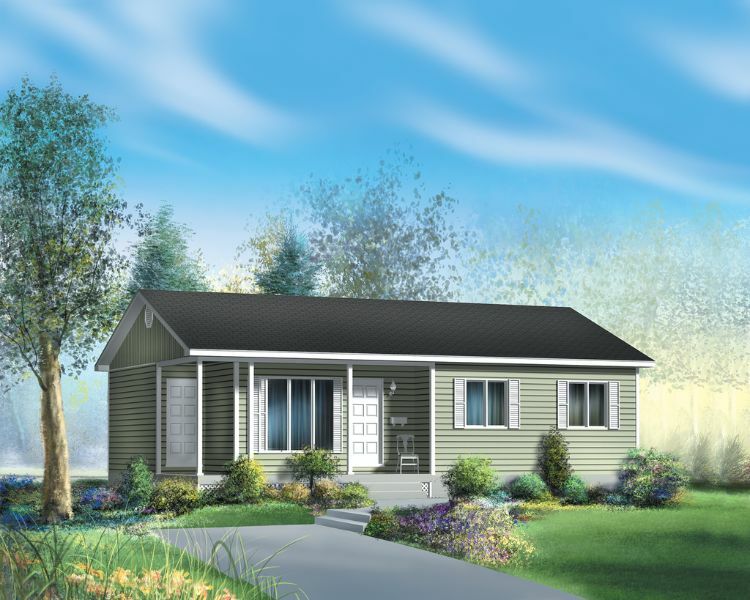 This design from Family Home Plans measures 691 square feet (64 square meters), and it has a screened front porch. 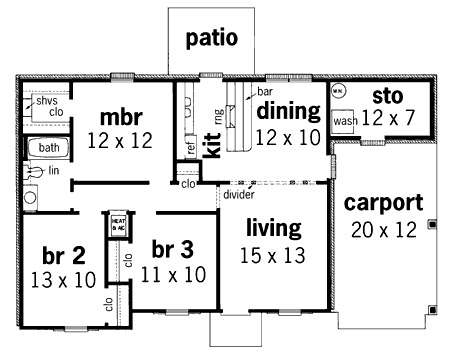 The right-hand side of the home is taken up by an open concept living room, dining room, and L-shaped kitchen. A cozy fireplace warms the dining room. 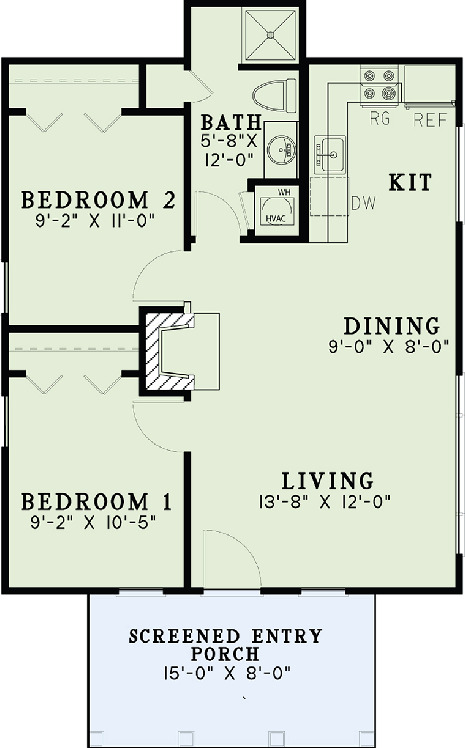 Two bedrooms are on the left side of the home, and a bathroom with a shower is at the back. 3. 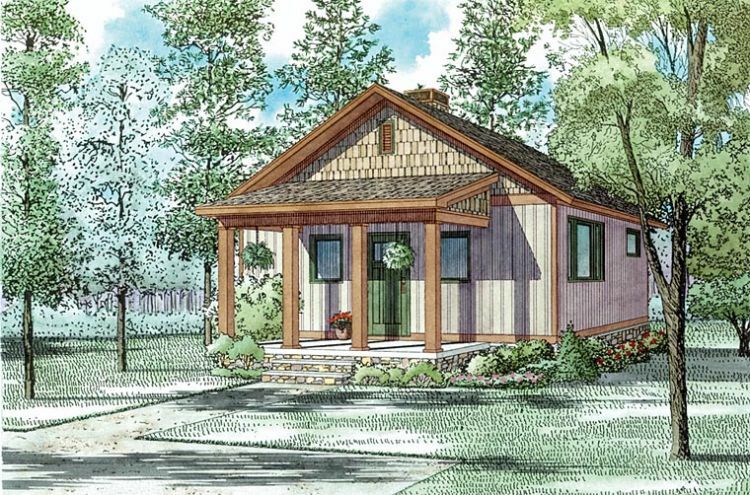 Tiny traditional home from Houseplans. 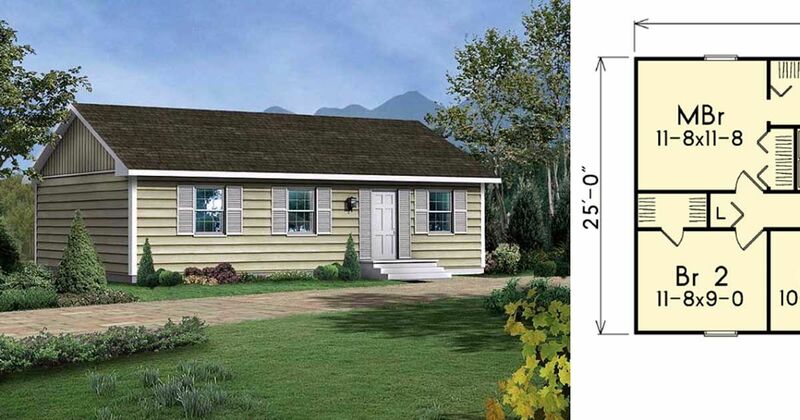 Coming in at 864 square feet (80 square meters), this design from Houseplans would be great for a smaller family. Once you step through the front door, the living room is off to the right and a hallway is off to the left. The dining room and a U-shaped kitchen are located behind the living room. while the hallway leads to two bedrooms and a bathroom with a tub. A laundry closet and a storage space can be found in this hallway, which can also be used to access the kitchen. 4. 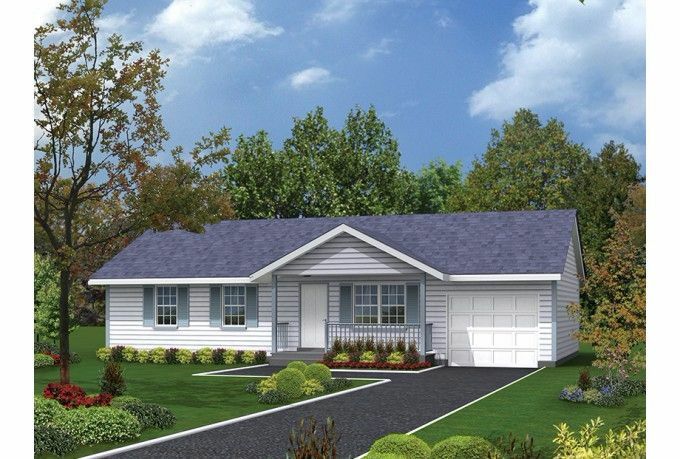 Charming rancher with attached garage from ePlans. 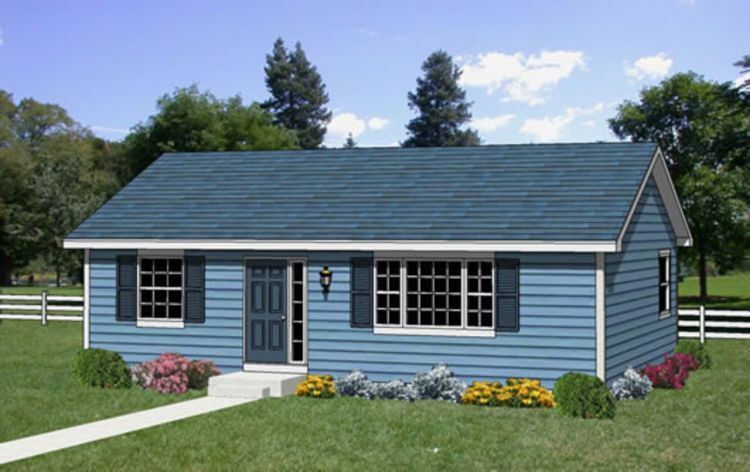 This charming little home from ePlans comes in at 988 square feet (92 square meters), and it has a single garage on the right-hand side. The living room is at the front of the home, while the dining room is right behind it. The kitchen area is just to the left of the dining room. The rest of the home is taken up by three bedrooms, a bathroom with a tub, and a laundry closet. 5. Open concept home from Architectural Designs. Measuring exactly 1000 square feet (93 square meters), this home from Architectural Designs has a simple but efficient layout. The right-hand side of the home is taken up by the great room and an eat-in kitchen; a door on the right of the kitchen leads to a small patio outside. Off to the left, a hallway leads to three bedrooms and a bathroom with a tub. The bedroom in the front corner boasts a walk-in closet, and the master bedroom has its own door to the bathroom. 6. Classic design with L-shaped kitchen from Houseplans. This charming home from Houseplans comes in at 941 square feet (87 square meters). The front door opens into a small entryway with a coat closet, which is open to the rest of the main living space. The living room is at the front of the home, while the dining room and kitchen are at the back. A short hallway off this area leads to three bedrooms and a bathroom with a tub. Tudor homes first came into fashion in the 1480s, but they're just as well-loved today as they were 500 years ago. Check out these tiny Tudor floor plans and you're almost guaranteed to find one you'll fall for! 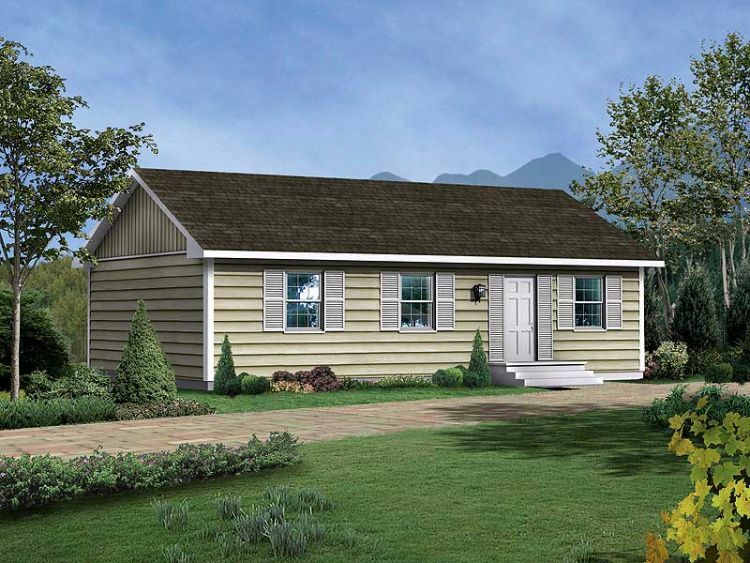 If there's any particular type of home that's perfect for almost anyone, it's the bungalow. 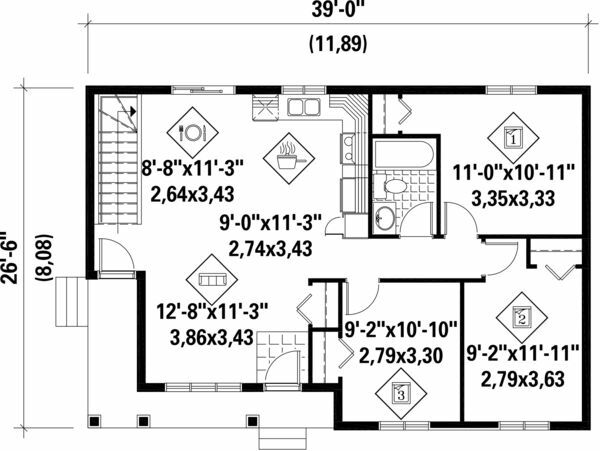 Thanks to their two bedrooms, the following floor plans are ideal for small families or for people who love having guests! If you live in a tiny home, it's nice to have a bit of outdoor living space that you can escape to when you're feeling cramped. Covered front porches are one of the best kinds of outdoor living spaces you can have!